Stripped down version of Blue Crab website downloader. Is there a better alternative to Blue Crab Lite? Is Blue Crab Lite really the best app in Internet Utilities category? Will Blue Crab Lite work good on macOS 10.13.4? Blue Crab Lite is a an app that you use to copy a Web site to your computer easily. With Blue Crab Lite you can download all the linked content including HTML, PDF, graphics, video, file archives, etc. automatically. And then you can search or browse the downloaded site without any Internet connection. Completeness. Unique URL finding methods yield very complete downloads compared to other products. Blue Crab Lite needs a review. Be the first to review this app and get the discussion started! Blue Crab Lite needs a rating. Be the first to rate this app and get the discussion started! Browse Offline. Downloaded Web sites can be browsed offline, because the links in each page have been relinked to point to the proper files now on disk. Easy to use. Tool tips exist on all user interface items for learning the program quickly. Protocols. Supports both HTTP and secure HTTPS. Offsite links. You can allow the app to download resources it finds on other domains, improving the display of pages offline. Select the option "Grab Offsite URLs" in preferences. Stay in folder. You can restrict Blue Crab Lite to a subset of the given website using the convenient "stay in folder" option available in every grabber window. This restricts the crawl to URLs whose path must begin with the same path as the starting URL. Subdomains. You can enable Blue Crab Lite to move across "second level" parts of a domain it finds, such as from "www.site.com" to "images.site.com." Select the option "Allow Secondary Domains" in preferences. Search. The built-in directory search engine displays found files as a hierarchical list that matches the structure of the site, with double-clickable entries to open and view them in the appropriate application. QuickLook icons. 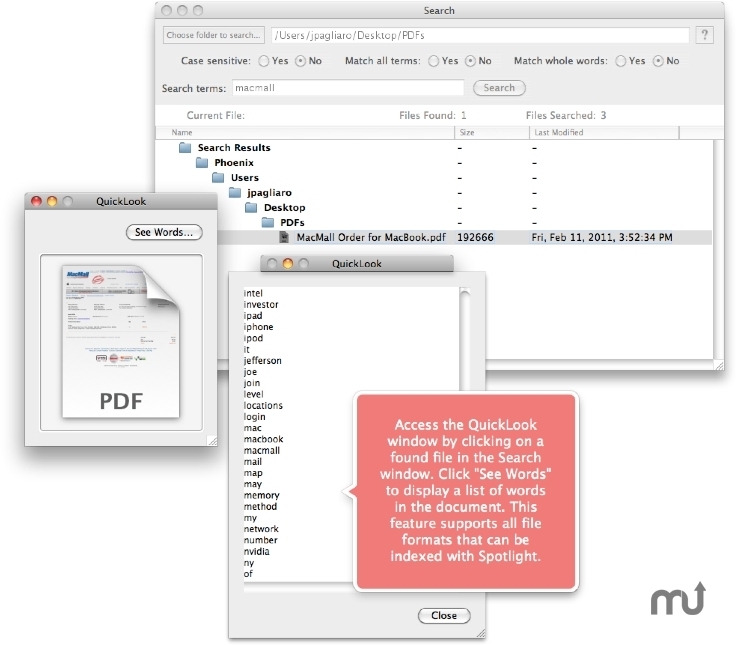 Search results may be clicked for a quick look at the file preview as a small QuickLook icon. Spotlight index. Use the QuickLook preview window to access the files index of words it contains. Progress. In addition to displaying detailed progress in a window, Dock badging provides visual feedback of progress when the program is in the background.